on a Pacific island. According to legend, if used correctly it could pass on the gift of superhuman powers and immortality. Desperate to change the course of the war, the high command ordered a platoon of men to be injected with the chemically modified poison and to be sent into battle, even though it had not been thoroughly tested. The shocking events were kept secret after the war until now. 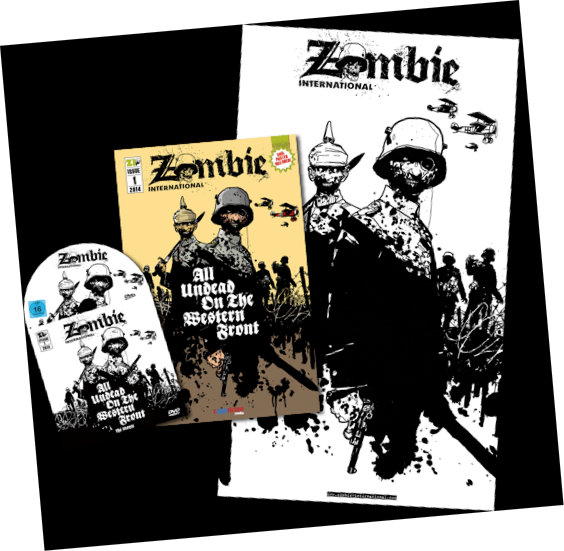 Deluxe edition: 32 page comic with poster and movie (DVD).